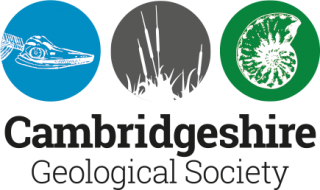 The Cambridgeshire landscape has a unique and fascinating history, from floods and glaciers to deep seas, tropical lagoons and even volcanoes! By exploring the Fen Edge much of this history can be discovered through looking at the clues that remain. Many factors have affected the landscape over millions of years and whether it involves the geology, the climate or colonisation by man, the story is one of dramatic changes with a few surprises along the way. Starting with the local geology, we’ll see how the past has influenced the land that we’ll be walking across, with opportunities to learn about the plants and animals that have lived here before, through the many exciting fossils that have been found in the area, some of which can still be seen, not only in collections around the county but often in the walls and floors of buildings in our villages, towns and cities. The extensive fenlands of eastern England reach far to the north into Lincolnshire, south throughout much of Cambridgeshire and also extend into western Norfolk. As the land rises from the low-lying fens to the surrounding ‘hills’, the character of the buildings, land use and natural history changes. The influence of the chalk uplands to the southeast, the claylands to the west, the breckland to the east and the limestone uplands to the northwest, have all had their effect. At various times in the last few thousand years, the fenland has been flooded and, at the Fen Edge, the land changed from extensive wetland to dryer land where settlements could be built. The surrounding higher land now provides viewpoints that are windows into the past – looking down onto one of the last areas in England where ‘wilderness’ existed and people have met many challenges to survive. The story of the formation of the original wetland, with its water channels, lakes, reedbeds and tidal marshes, that resulted in the deposits of peat and marl, to the draining for use as agricultural land, and then the current efforts to restore some of its natural values, is one that is unique in England. The Fens for the Future Partnership is a group of public, private and voluntary sector organisations including local authorities, nature conservation bodies, farmers and landowners and academic institutions with a vision for the Fens. 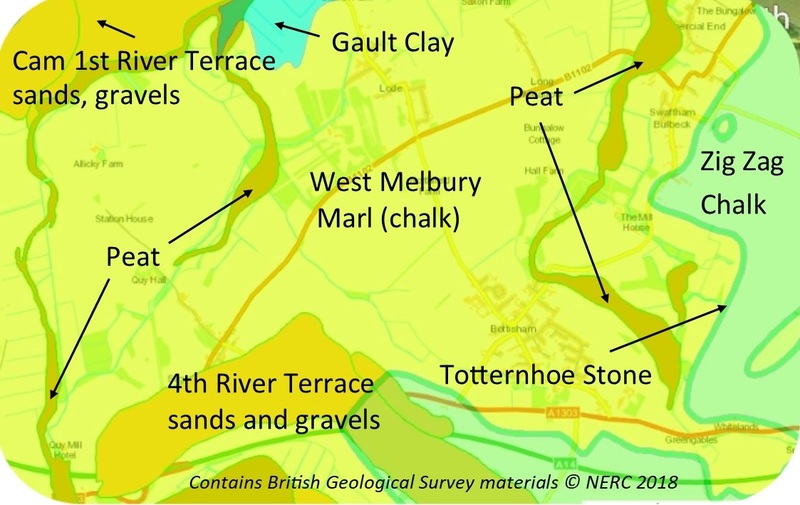 This map (containing data from the British Geological Survey) shows the basic geology of the area. 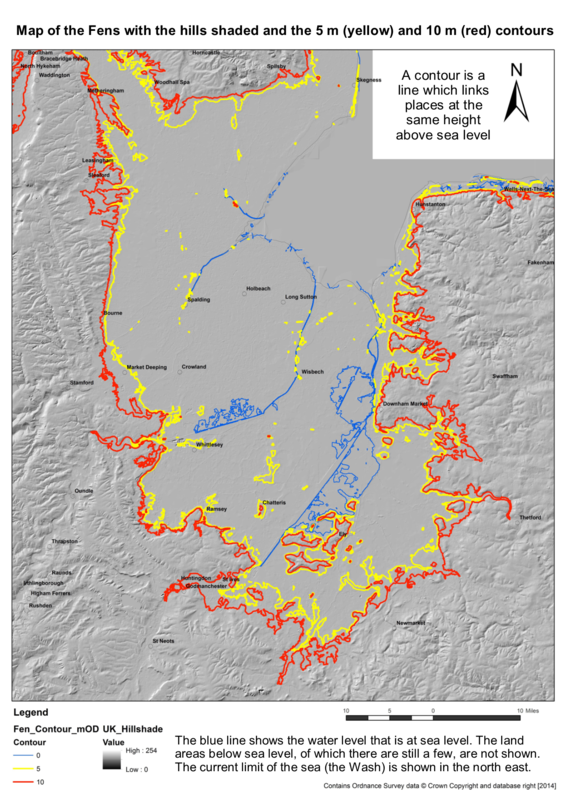 It also includes the 5 metre contour (yellow) which is a line connecting the land that is 5 metres above sea level. The relationship between the geology and height of the land can be seen, particularly near the Fen Edge. For a key to the geology see the British Geological Survey map viewer. The leaflets for each walk include details on the local geology. The different colours represent the geological material that is at the surface today. The cream, brown, orange and blue areas are where relatively recent (‘superficial’) deposits remain (and in some areas are still being formed). These include alluvium (from rivers), river gravels, marine silt, peat and material left by glaciers. The latter, now called Till, was previously called boulder clay due to its general clayey nature (in this area). 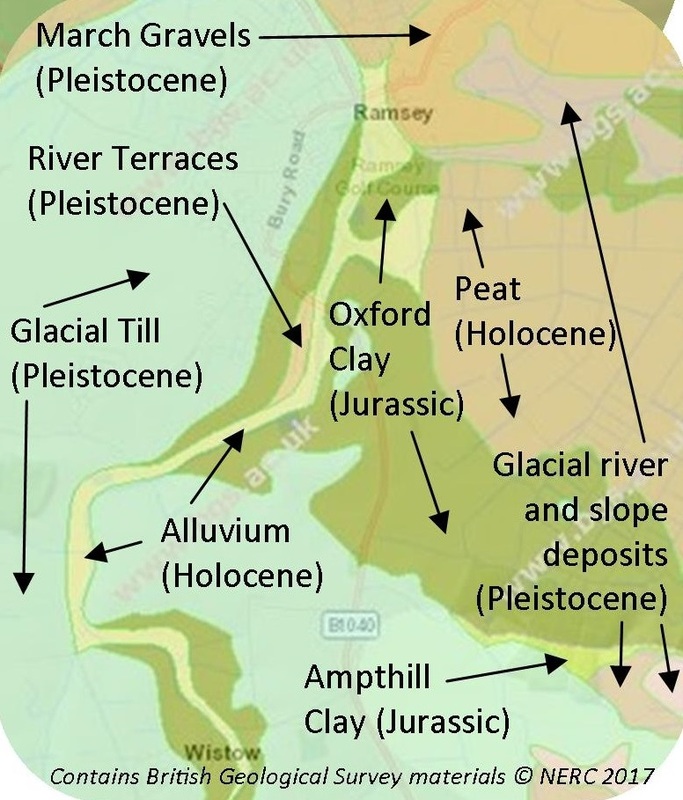 Some of the glacial deposits around the edge of the fenland may be up to about 460,000 years old (from the Anglian glaciation when ice extended south to the Thames Valley), but that in the fen basin is likely to be about 160,000 years old (from the Tottenhill glaciation when a tongue of ice extended down almost as far as Cambridge). The silt, peat and alluvium is less than 11,000 years old (Holocene) and the river alluvium is still being deposited, although in relatively small quantities. The (green) band of bedrock running from the south to the east of the county was formed in the Cretaceous Period (145 to 66 million years ago) and includes rock such as the Chalk, Gault clay and Greensand (sandstone). To the north west are Jurassic Period (201 to 145 million years old) rocks including the Oxford Clay and the famous ‘Barnack’ limestone (purple/grey).